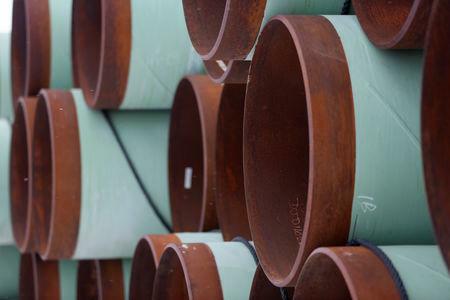 The ruling of a U.S. Court in Montana late on Thursday dealt a setback to TransCanada Corp <TRP.TO>, whose stock fell 1.7 percent in Toronto. Shares of companies that would ship oil on the pipeline also slid. Shares of Canadian oil producers Canadian Natural Resources Ltd <CNQ.TO> and Cenovus Energy <CVE.TO> lost 2.7 percent and 2.2 percent respectively. Neighbouring Saskatchewan stands to lose C$500 million in annual royalties if the discount for Canadian crude remains steep, Saskatchewan Energy Minister Bronwyn Eyre said.